If you need a brand new flooring solution that combines style, durability, and affordability, look no further than our wide variety of luxury vinyl tile. This flooring is designed with the intent of mimicking more expensive, luxurious variety of floorings, such as hardwood, stone, and marble. Thanks to our unbeatable prices, you are able to get luxury vinyl floor tile for even less money than ever before, adding grace and style to any home without breaking the bank. When you step into our showroom, you enter a world of possibilities to enhance your home. In addition to its style and versatility, luxury vinyl is the resilient flooring of choice for busy households that incur a lot of foot traffic. Due to the versatile nature of LVT, it has become an extremely popular flooring option for both home and business customers who shop in our showroom. A major benefit of this material is its high-end look combined with its ability to endure a great deal of use. Whether you want the look of natural stone or hardwood, we have the luxury vinyl to suit any lifestyle. The latest advances in technology have given our manufacturers the ability to make many improvements to both the durability and look of vinyl. Luxury vinyl plank flooring, for instance, mimics hardwood flooring options with individual planks that look just like the real thing. By utilizing the latest in embossing techniques, we are able to add details down to the grain on the “wood,” giving you the perfect look without sacrificing the durability that comes with vinyl. Embossing also enables vinyl sheets that look like ceramic, stone, or marble, with such precision that no one who visits will be able to tell the difference. Resilient against stains, scratches, dents, and moisture, this flooring is an investment that lasts for years while keeping its stylish appearance. Perfect for families with small children or pets, you won’t have to worry about the new puppy or playtime at your house. Easy to maintain and even easier to clean, LVT is the solution for those looking to get the maximum return on their investment. Once you’ve browsed our catalogue of affordable LVT and chosen the style that’s right for you, depend on our team of professionals to provide the proper installation service you need to guarantee a long lasting, beautiful floor. We take our time to do all the necessary prep work before beginning to ensure that the process goes as smoothly as possible. Our experienced and skilled contractors are dedicated to perfectly installing your new floors, and then leaving no trace behind of their presence other than a gleaming new floor. With hundreds of styles and designs to choose from, we are your local source for flooring options that are sure to fit your needs in looks, performance, and price. Consider luxury vinyl tile for your next home renovation project to save money while still getting a quality floor that lasts for years to come. 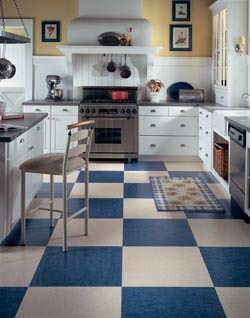 Contact us today to learn more about our selection of durable luxury vinyl tile. We proudly serve the communities of Feasterville, Holland, Southampton, Warminster, Willow Grove, Pennsylvania, and the surrounding area.